What makes the structure and dynamics of coupled natural and human systems difficult to interpret in the Mediterranean is the extreme diversity in space and time of both environments and human societies. The succession of civilizations that waxed and waned in the Mediterranean Basin over several millennia has had great impacts on biota and ecosystems everywhere in the basin. A complex ‘coevolution’ has been claimed to shape the interactions between ecosystem components and human societies. Two opposing schools of thought traditionally have considered the consequences of human pressures on Mediterranean ecosystems. The ‘Ruined Landscape’ or ‘Lost Eden theory’ argues that human action resulted in a cumulative degradation and desertification of Mediterranean landscapes. The second school argues that humans actually contributed to keeping Mediterranean landscapes diverse since the last glacial episode. With this debate in mind, I show the following: (1) One cannot understand the components and dynamics of current biodiversity in the Mediterranean without taking into account the history of human-induced changes; (2) The various systems of land use and resource management that provided a framework for the blossoming of Mediterranean civilizations also had profound consequences on the distribution and dynamics of species, communities, and landscapes; (3) The processes of domestication of plant and animal species, which first occurred in the eastern Mediterranean area some 10,000 years ago, contributed to the increase of certain components of biodiversity at several spatial scales. 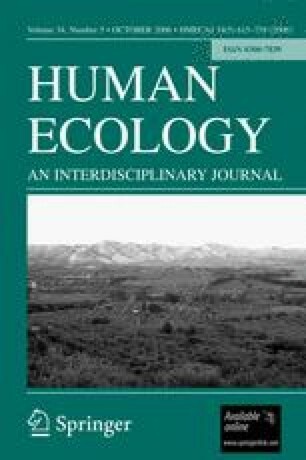 Positive and negative feedback cycles between cultural practices and natural systems at the local and regional levels have kept ecosystems robust and resilient; (4) Assuming that human action can, to a certain extent, be considered a large-scale surrogate for natural sources of ecosystem disturbance, such patterns give support to the diversity-disturbance hypothesis—specifically, intermediate levels of disturbance have promoted biological diversity; (5) Intraspecific adaptive variation increased as a result of human-induced habitat changes over millennia, resulting in bursts of differentiation during the later Holocene of local ecotypes and gene pools of domesticated and wild plant and animal species, with region-specific characters fitting them to local climate and environmental conditions. High intraspecific adaptive variation also arose from earlier natural processes of the Pleistocene, mainly from a combination of periodic refugia formation and climate dynamics. During the Holocene, the main sources of disturbance came increasingly from humans, specifically from the coupled cultural and natural modifications of community and landscape structure. It is concluded that a high degree of resilience of Mediterranean ecosystems resulted in a dynamic coexistence of human and natural living systems, which in some cases provided stability, while fostering diversity and productivity (Blondel and Aronson, 1999). The word “design” used in the title and elsewhere in this paper metaphorically indicates that the long-lasting influence of human impacts resulted in an unintentional shaping of individual components of landscapes. This paper was first presented as a contribution to the workshop entitled “The Robustness of Coupled Natural and Human Systems,” held at the Santa Fe Institute, New Mexico in May 2003. I am deeply indebted to Mary Stiner, who invited me to this stimulating workshop and who much improved the manuscript. I also warmly thank two anonymous reviewers for their constructive comments and suggestions.